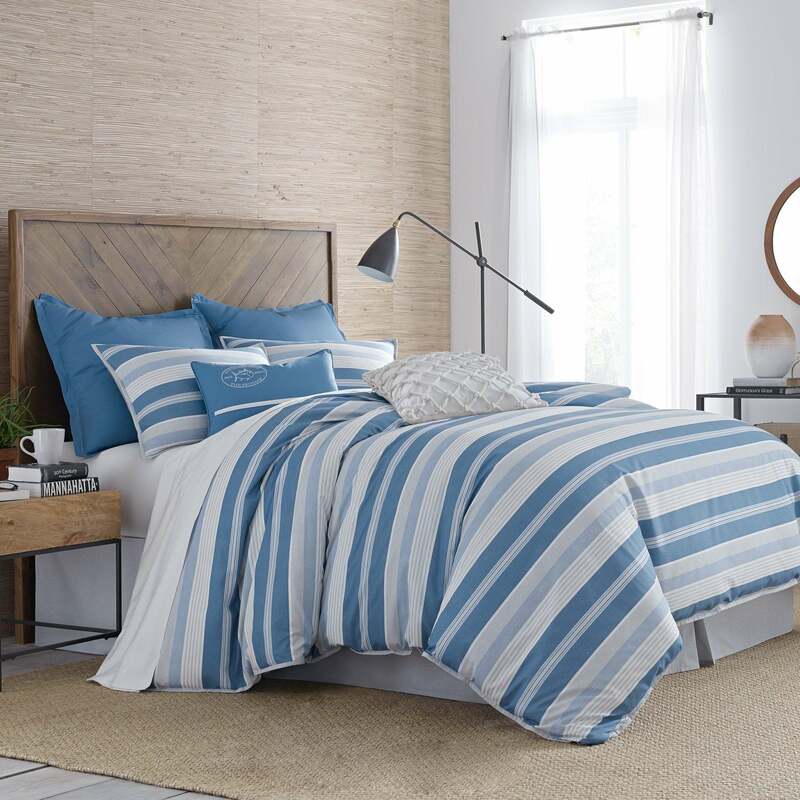 Our Skipper Stripe Comforter Set updates the look of any bedroom with bold horizontal stripes in blues, greys and white. Complete the look with coordinating euro sham and decorative pillows, sold separately. 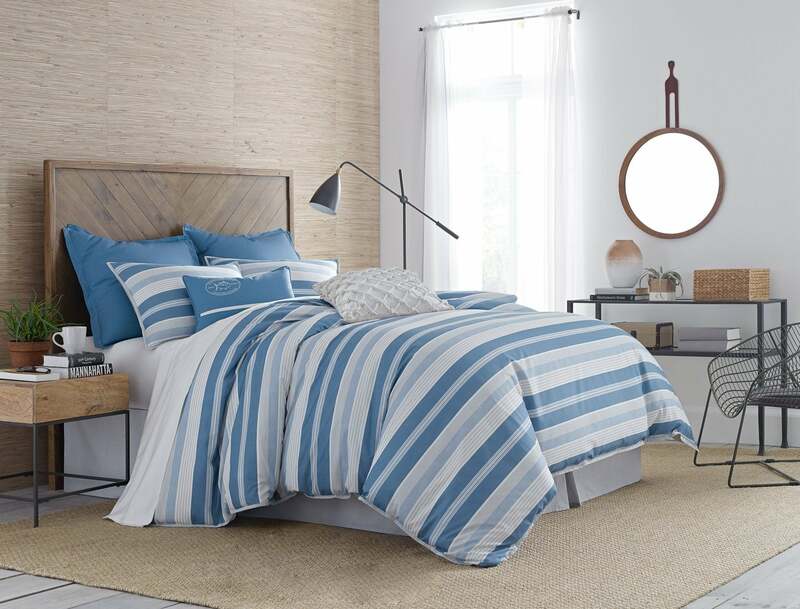 Set includes comforter and two shams. Twin bed includes one sham. 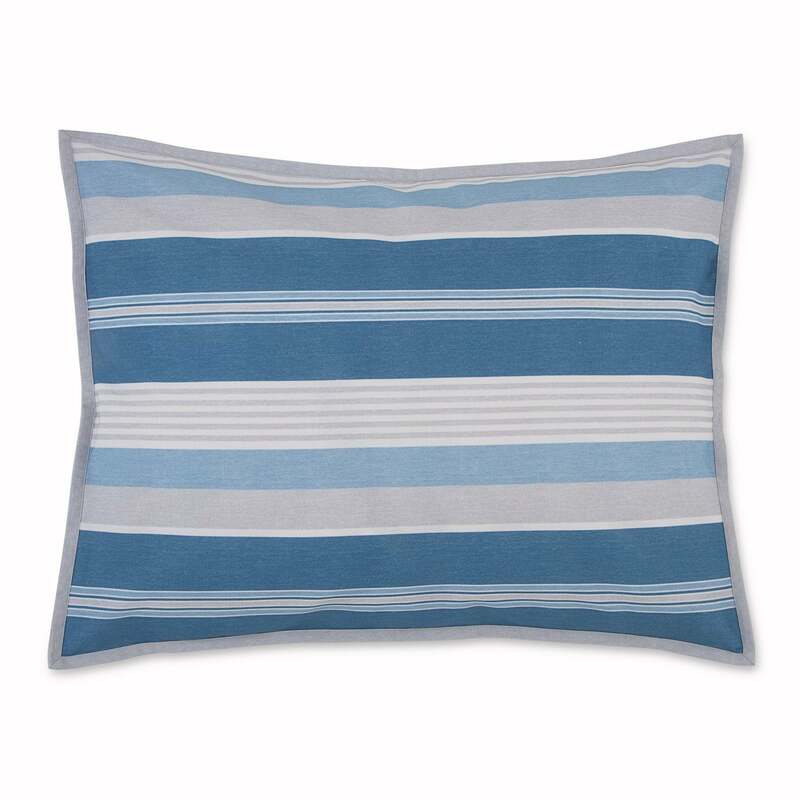 Coordinating European square sham and decorative pillows sold separately.